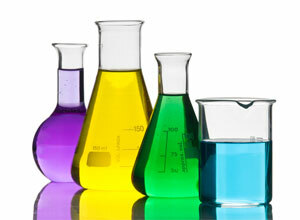 Crafting inspired chemical solutions for over 30 years. Isotec International is recognized globally as a producer of superior chemical products and polymers. From the very beginning, we’ve remained dedicated to solving our customers’ most vital challenges by leveraging our deep industry knowledge and modern R+D operations with a personable, “listen first, listen well” approach that renders sustaining, quantifiable results. In addition to our full line of stable off-the-shelf products, we’re also known for our spirit of innovation. Isotec has inspired the concepts and formulated the introductions of several new products that have helped clients to either step up to a significant gain or to reach a distinct competitive advantage in their marketplace. In line with our always active pursuit for new product development, is the vigilance of all personnel in maintaining the most current compliance of statistical process controls and total quality management procedures across the enterprise. From raw material sourcing, production processing and final product analysis, this ‘always on’ oversight is one of the cornerstones of our commitment to customer satisfaction. Within this framework, Isotec management and staff combine in a unique way to create a proven, capable, time-sensitive partnership for a broad spectrum of customers across the global community. Isotec International – at your service. ISOTEC INTERNATIONAL is recognized globally as a producer of superior chemical and polymer products.